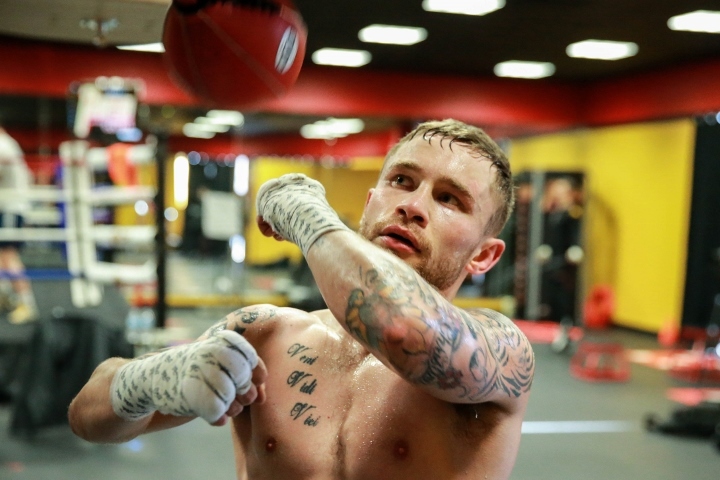 CARL FRAMPTON IS now ideally positioned for his next tilt at becoming a world champion again following our collaboration with Top Rank for the promotion of his future fights. Coming off the back of an unsuccessful shot at the IBF featherweight title held by Josh Warrington, the likelihood is that Carl would’ve had to travel in order to challenge the likes of WBO champion Oscar Valdez in any case. Now he will enjoy the lucrative financial rewards and security of doing so as a home fighter, while also being showcased back in the UK and Ireland on BT Sport. If he is successful in reclaiming a seat at the top table – which I sincerely hope he will be – then the natural fight to make would be a big rematch and unification with Josh Warrington, back on British soil. Nathan Gorman will have his first fight of what should be a very significant year for him in the heavyweight division. I have come out and stated my intention to put Nathan and Daniel Dubois in together before the end of the year and that rivalry is simmering nicely as they keep tabs on the progression of each other. Nathan will want to put on a statement performance this time around after a couple of victories via verdict, as well as Daniel ploughing through has last opponent in just the second round. Nathan is right, however, to point out that it is about styles and we are going to be in for a fascinating showdown when the time comes to match them up.